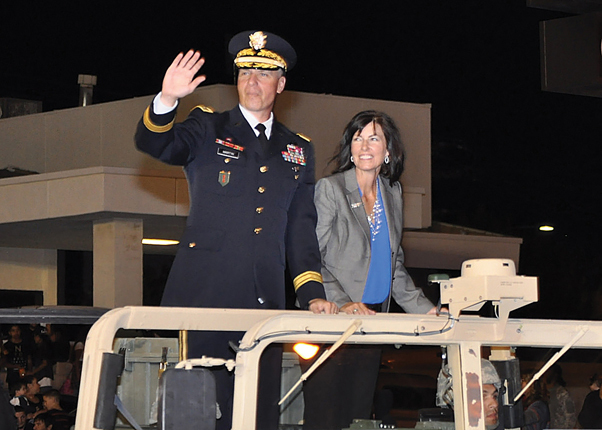 National Training Center and Fort Irwin Commander Maj. Gen. Joseph Martin and Mrs. Leann Martin wave to the hundreds of parade watchers at Barstow’s 83rd Mardi Gras Parade, Oct. 24. 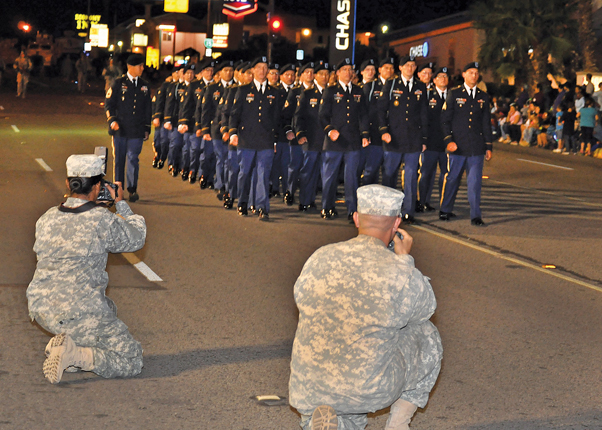 The National Training Center was well represented in Barstow’s 83rd annual Mardi Gras Parade that unfolded on a mile and a half route down Barstow’s East Main Street in the early evening hours of Oct. 24. 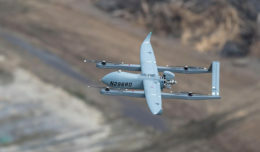 The Kiwanis Club-sponsored event drew thousands of Barstow residents who cheered on the hundreds of paraders, floats, vehicles, military and civic leaders, and marchers that included the Silver Valley High School marching band. 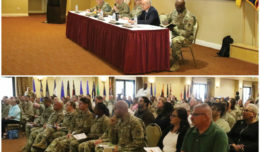 Leading the Army deployment from Fort Irwin were 11th Armored Cavalry Regiment’s famed horse detachment, followed by NTC’s senior leaders and spouses waving from humvees. 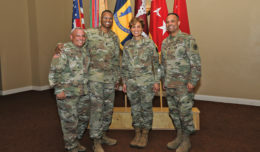 Soldiers from the 916th Support Brigade dressed in Vietnam-era uniforms were followed by 11th ACR’s senior leaders and a company of 11th ACR Soldiers smartly dressed in their blue Army service uniforms. Behind them were a platoon of dismounted 11th ACR Soldiers in combat uniforms in wedge formation, followed by a MRAP (mine resistant ambush protected vehicle), a M3A2 Bradley fighting vehicle, and an OPFOR surrogate vehicle used to simulate enemy infantry fighting vehicle. Bringing up rear of the NTC contingent was the 11th ACR’s main battle tank designed to simulate a Russian T-80 main battle tank. Soldiers of the 11th ACR, in their service uniforms, are photographed by military photographers as they marched down Barstow’s Main Street during its Mardi Gras Parade.